The Inaugural Edge of 17 Hop was held in 2015 and involved eight Ottawa Valley shops. We’d love to do it again sometime! Meanwhile, the design idea has caught on with other areas that want to celebrate their heritage. 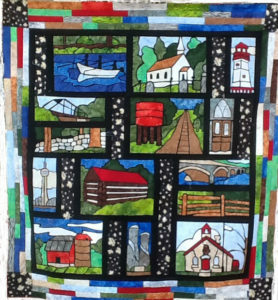 A number of shops have Block of the Month projects in the works…..
Coming soon, “Sensational Shelburne”, “Greater Kingston”, and possibly “Wonderful Whitby” plus others. I am working with a number of shops to design their own special version-who knows maybe there will be a project for your area. I just found out about the shop hop – a wee bit late – any chance you will be putting out the complete pattern for sale in the future? The six shops on the hop all have the full pattern for sale in store. I will also be updating my website with the pattern shortly. 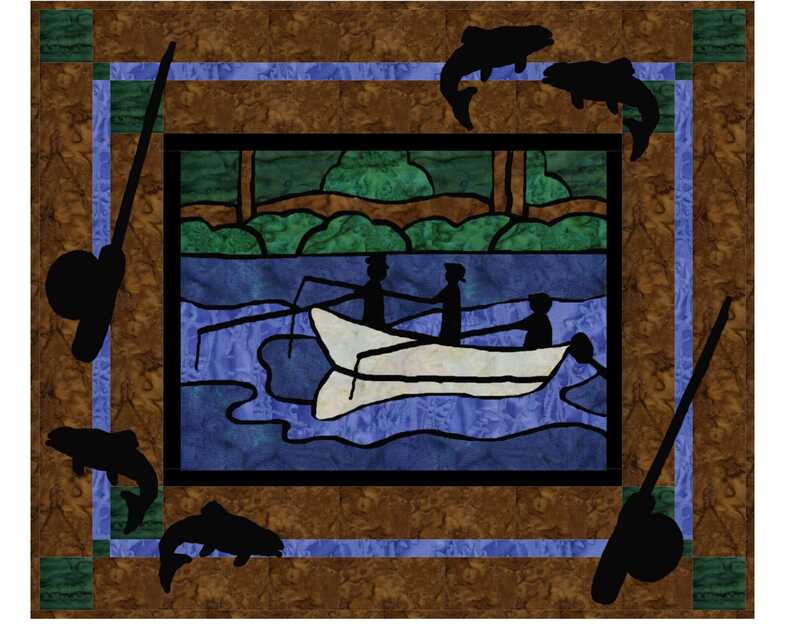 The stores that have the pattern are: Sew For It, The Running Stitch, The PickleDish, The Quilting Quarters, Textile Traditions, Sew Inspired, Valley Needleworx and Algonquin Sewing Center. Thank you for your interest! Thanks for checking Beth! Seems not all of my replies went out. I sent you an email earlier today. Instructions will be going out shortly-glad you enjoyed the hop! Joni enjoyed the shop hop ( The Edge of l7). This was my first shop hop. Please let me know when the instructions to finish the quilt are available. It was nice meeting you. 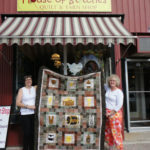 I did the shop hop last week and truly enjoyed meeting you in Carleton Place. I would like to get the finishing instructions as well as the additional blocks when available. Also, I was wondering if additional fat quarters are needed as there were none available at Sew for It! Thanks for the wonderful design! Liz, glad you enjoyed the hop! You are on my list for instructions that will be available shortly. With my 16 FQ I was able to make three of each block AND the quilt top! (and I still have leftover). So…you have enough fabric, the question will be if you have a wide enough selection of colours. You only need very small amounts of most of the colours and probably have them in your stash. Take a look! There will be a suggested colour list in the finishing instructions. Thanks for your feedback. Hi Joni. Did the shop hop edge of 17 on Wednesday and Friday with my sister and a friend. We enjoyed it very much. This was my first shop hop. We are now planning on getting together to work on the blocks. 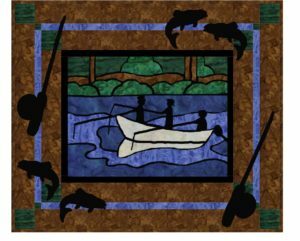 Will you let me know when the pattern for the whole quilt is available. The only thing was that at sew for it she did not have fat quarters kitted with the project sheet. I was wondering were we can get the blocks that were not on the shop hop–trees, peace tower, stone wall and rail fence. I really like this quilt because it has to do with the Ottawa area Great job!!!!! Thanks again Joanna, I’ve got you covered! Finishing instructions and the four blocks will be sent out shortly.